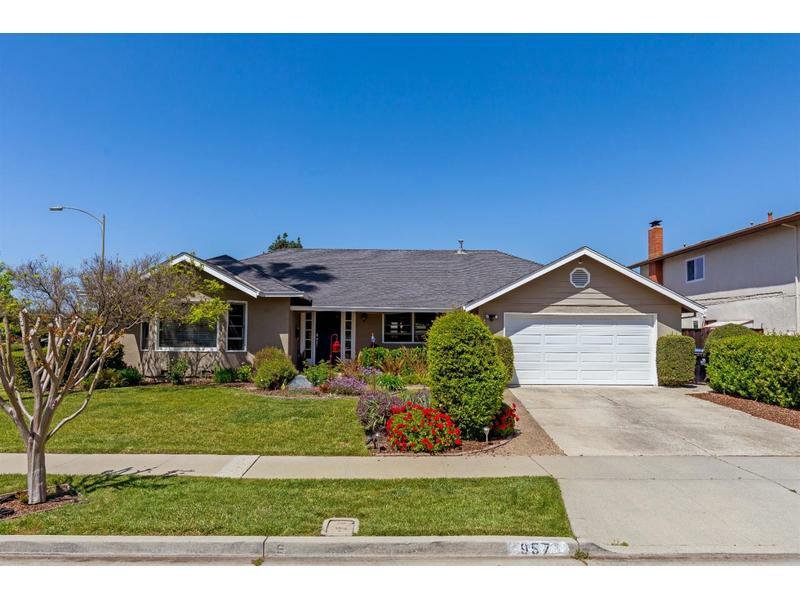 stunning almaden valley home that is an entertainer's dream! featuring an open floor plan, gourmet kitchen with built-in subzero frig. both the living room and family room are wired for surround sound. most of the switches in the house are "smart" switches that can be controlled remotely. beautiful inlaid hardwood floors. formal dining room. wonderful master bedroom retreat with french doors leading to the pool. and then wait until you step out into backyard! there's a newly covered outdoor bbq area, wood burning pizza oven, separate wood deck w/ pergola and in the middle - a sparkling pool and spa - with both solar and gas heaters.